we proudly stand behind our repair specialists in Oven stove repair Phoenix and guarantee all of our work. 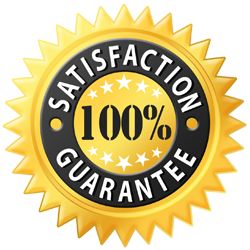 Upon completion of your repair, you will receive a one-year warranty on labor. We will not charge you for a service call if you allow us to do the repairs. We also refuse to take advantage of our customers and do not charge you extra fees. Like most appliances, the oven typically gets noticed when it is not performing its job. The 23rd annual portrait of the U.S. appliance industry reports an average life span for gas ovens as 19 years and the life span for electric ovens at 16 years. As with other appliances listed in this report, these are just averages, with proper care and maintenance you can extend the life of your oven and we would like to help. Whichever type of oven you have, we can meet all of your oven repair needs. There is one point which cannot be overstated if you have an oven that operates with natural gas and you suspect a gas leak (usually by smelling gas when heating the oven) turn off your oven and call your local gas company IMMEDIATELY. This is a serious and even potentially life-threatening situation. Oven stove repair Phoenix are waiting for your call. 1. Oven does not heat up- More than 35% of our repair calls are because the oven will not start. The problems behind you oven not starting can be because of faulty bake or broil elements, temperature sensors which will not signal the oven to ignite, the electronic control board, or the oven burner igniter. Fortunately, our certified repair specialists can take care of all of these issues very quickly, allowing you to get back to baking. Oven stove repair Phoenix know how to handle it. 2. Little or no heat when baking- Approximately one quarter of our customers call us with this issue. In many cases, the underlying causes are similar to those which lead to an oven not starting. In addition to the faulty bake or broil elements, temperature sensors, and electronic control board an oven control thermostat may need recalibrating. 3. Gas igniter glows but will not light- This problem concerns about 12% of our customers. The temperature sensor or electronic control could be at fault if this is happening to you. A more pressing possibility is that your oven has a defective oven safety valve. This is the part that makes sure that gas does not discharge until the igniter has attained the proper temperature necessary to ignite the gas. Routine maintenance for both gas and electric ovens will help extend the life of your appliance as well as reduce the stress associated with an oven in need of repairs. Believe it or not one of the most helpful ways to keep your oven working well is to give it a thorough cleaning at least twice a year, more if you use your oven frequently. In addition to that, here are a few ways that we can help you with routine maintenance so you can avoid oven repair. 1. Clean and/or replace oven door seals- This is an important way to make sure that your oven is keeping its heat inside, where you need it. Door seals will break down over time; one of our repair specialists will replace degrading door seals quickly and easily. 2. Replace the light bulbs- Because these are often under a dome or a glass covering, these are not as easy to replace as a refrigerator bulb. Often there are several pieces to remove in order to reach your oven light bulb, which is why we recommend that one of our repair specialists takes a minute to replace your oven light bulb as a part of regular maintenance. 3. Clean and inspect heating elements- This is equally important for gas and electric ovens and typically requires our specialists minimal time to remove, clean, and replace these. 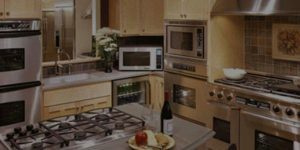 • Oven stove repair Phoenix – Your stove top or freestanding cooktop tend to have the same importance in the home as your oven. There is nothing quite as frustrating as turning on a burner and getting no flame, or if your stove is electric, no visible red heating, this is especially true at breakfast time. The life expectancy of cooktops is the same as that of ovens according to the the23rd annual portrait of the U.S. appliance industry. Gas cooktops have 19-year expectancy and electric cooktops have a 16-year life expectancy. Regardless of the type of cooktop or stove top you have, we are equipped to handle all of your stove repair needs. There is typically one complaint which our repair specialists receive calls for and that is the cooktop element will not heat. If your unit heats with gas, the problem usually is from blocked openings around an individual burner. On an electric stove, the problem can be with the surface burner element. These can corrode over time and may need to be replaced. Another common reason for your lack of heat from the element is the burner receptacle or terminal block connects the burner element to the stove’s internal wiring. These do arc and overheat occasionally. Potentially the root of your issue is the infinite switch, also called the burner switch, controls the power to individual burner coils. Call us right away for your appliance repair and if you smell gas call the local gas company right away. Maintenance on your cooktop or stovetop is relatively simple yet important. Our service experts can prevent future complications by doing regular maintenance and inspecting your stovetop for problems. 1. Inspect coils and connections- The coils and their connections are prone to wear and tear, especially if you are someone that cooks with very large or heavy pots and pans. Inspecting the connections and replacing those that appear worn or not stable is an easy way to prevent larger difficulties. 2. Examine solid burner elements- Cooktops with solid burner elements are easy to overlook because they are easy to clean and you typically do not see under the cooktop. We will check to be sure that everything is in working order. • STOVETOP/COOKTOP REPAIR- Your stove top or freestanding cooktop tend to have the same importance in the home as your oven. There is nothing quite as frustrating as turning on a burner and getting no flame, or if your stove is electric, no visible red heating, this is especially true at breakfast time. The life expectancy of cooktops is the same as that of ovens according to the the23rd annual portrait of the U.S. appliance industry. Gas cooktops have 19-year expectancy and electric cooktops have a 16-year life expectancy. Regardless of the type of cooktop or stove top you have, we are equipped to handle all of your stove repair needs.